I have an exciting opportunity for you to experience teaching in one of dynamic international schools in Malaysia. I am seeking a dynamic and inspirational Music teacher who has the ability to engage, enthuse and motivate able students. 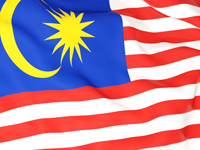 Malaysia has a stable economy and a democratic government. It is considered one of the most foreigner-friendly countries in the world, in fact foreigners are encouraged to move here, and the local people are genuinely friendly and welcoming. From its location at the southernmost tip of the Malay Peninsula, Johor Bahru is little more than a stone’s throw north to Singapore. Living in Johor Bahru is a practical way to enjoy all that Singapore has to offer without breaking the bank. Connected by rail and road, the two cities share a dependent economy. Foreigners living in Johor Bahru can take advantage of both worlds, enjoying the low Malaysian cost of living and the rich cultural diversions of Singapore, just as Singapore shoppers flock to Johor Bahru to take advantage of and more than half of Johor Bahru’s men and women head to workplaces in Singapore every day, taking advantage of the higher wages. Younger expats will find that Johor Bahru offers a great deal, as well, especially those who have children. Good international schools, plenty of playgrounds, and a proliferation of theme parks make family life good here. People living here are among the friendliest in the world, too—another reason to consider Johor Bahru for your new home. For more information about this role, please contact VICKY on VL@SeekTeachers.com Don't forget to provide Vicky with your CV and contact details. Interviews will take place imminently. Interviews will take place IMMEDIATELY.